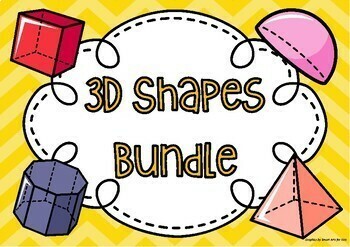 3-D Shapes Bundle - A week supply of hands on 3-D shapes mathematics activities for ages 9-10. The weekly plan include lesson objectives, lesson activities, materials, time, strands, strand units, differentiation for high achievers, struggling children and early finishers. 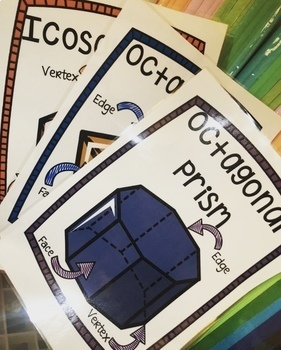 Tip: Print the shape nets on colored paper to save ink!